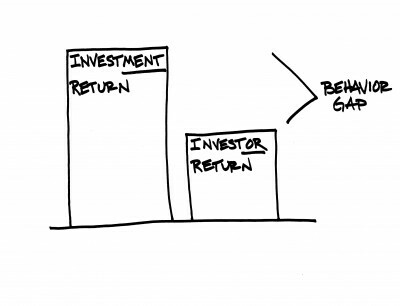 Private investors often lose a return of 4-6% p.a. 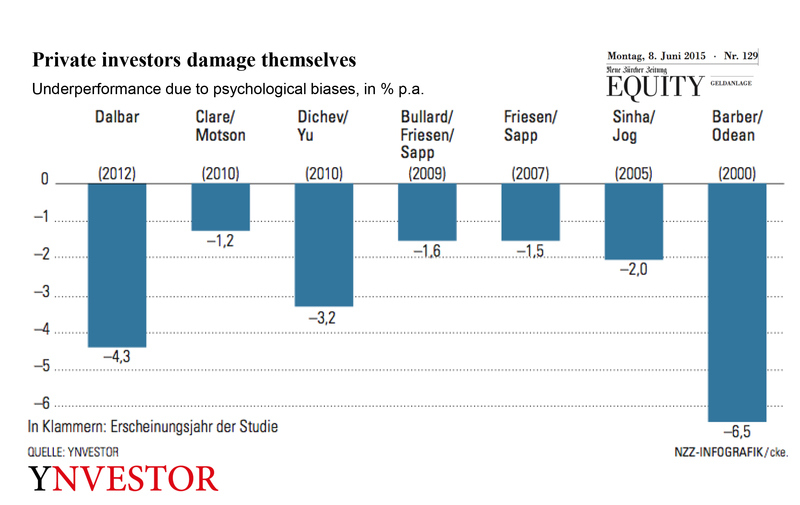 due to psychological biases. In the ups and downs of market cycles investors are driven by emotions and they lack discipline to stick to their investment strategy. Professional investment advisors prevent investment mistakes and reduce behavioral risks at the root. They recommend an asset allocation that reflects an investor’s loss aversion and is robust – particularly in times of crises. YNVESTOR helps Heads of Private Banking to improve the quality of client advice and to deliver on growth targets. Satisfied clients and net new assets are the result. We make sales-/pitching-processes more effective. Based on clients’ preferences and the principles of best-practice sales we sharpen the value proposition of banks to acquire new clients. We create a unique client experience based on state-of-the art investor risk profiling techniques and investment personality types. This will allow for more robust investment strategies and happier clients. We segment clients based on financial behavior. We tune product-/service offerings and key messages based on people’s financial behavior. This will ensure effective communication, allow tailor-made pricing strategies and have a positive impact on margins. We strengthen the strategic asset allocation decision and documentation. Clients will better understand how they can achieve their investment goals and how their behavior contributes. They will better commit to rebalancing their assets in a contrarian way instead of buying high and selling low. We provide behavioral coaching to professional investment advisors. This will enhance their emotional intelligence, the effective delivery of financial advice and it will help to acquire new assets. YNVESTOR supports you in delivering state-of-the-art investment advice. We serve you as a consultant, a trainer or a project manager. In large-scale projects or in smaller initiatives. For happy clients. For net new money and a solid investment performance.